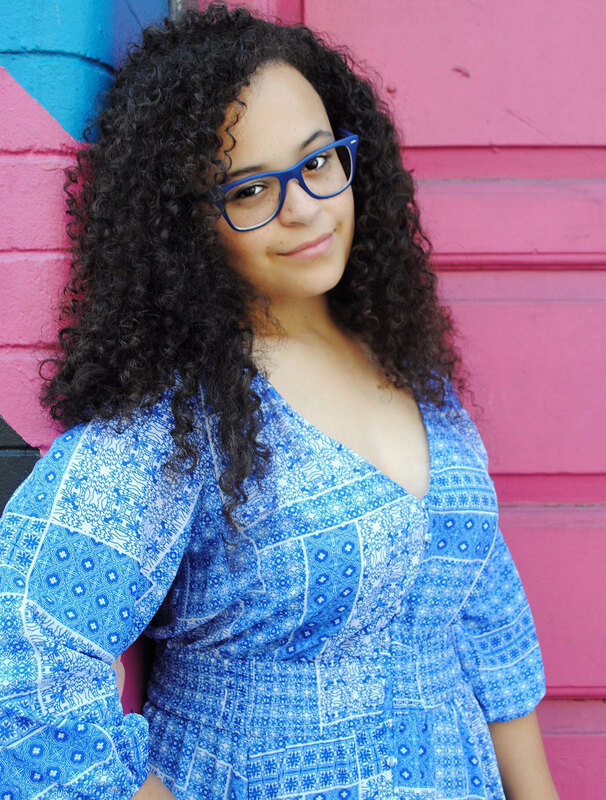 Seventeen-year-old Friday Brown is on the run—running to escape memories of her mother and of the family curse. And of a grandfather who’d like her to stay. She’s lost, alone and afraid. Silence, a street kid, finds Friday and she joins him in a gang led by beautiful, charismatic Arden. When Silence is involved in a crime, the gang escapes to a ghost town in the outback. In Murungal Creek, the town of never leaving, Friday must face the ghosts of her past. She will learn that sometimes you have to stay to finish what you started—and often, before you can find out who you are, you have to become someone you were never meant to be. Hooking and Unique Vikki Wakefield has created characters I adored and a story that is unique and powerful. Friday Brown is the type of read that silently creeps up on you and the impact is strong. 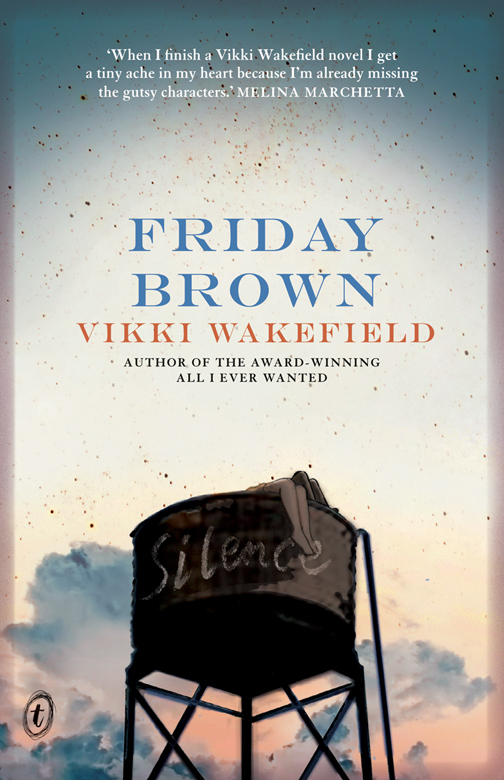 Vikki Wakefield is truly talented and Friday Brown is not only a delight to YA Fiction but to Aussie literature. Go Australian Authors! I loved the Australian Outback and City setting that was so well portrayed in Friday Brown. The Prolouge began Friday's journey so well and gave me shivers! I would hate to have the Brown families Curse. Friday Brown is intriguing and hooking and the subtle beauty is flowing throughout every page. We are introduced to wonderful characters and a brave heroine who I loved. Friday is on the run - running her whole life is all she's ever done, but who is she without the guidance of her mother who has passed away. Friday was a character who was independent and brave yet lost and overwhelmed. And her path to self discovery was beautiful, thought provoking and thrilling. An equal favourite of mine was Silence, Gah! (The Emotions right now!! If you've read it you'll know what I mean). I adored him and I'm sorry that my feelings can not be put into words at this current moment. Friday Brown has characters we question and characters we love. 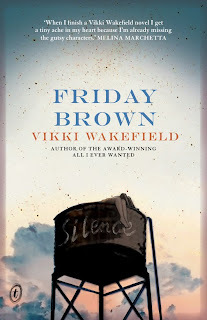 I was quite surprised by Friday Brown and I felt that before reading it - even though I'd heard such positive things, I didn't have a proper idea of what it was about. But when reading it I discovered a novel that took me on a journey and a hell of a ride it was, the lessons learnt and the emotions felt! Anyway Friday Brown was amaze-balls and I highly recommend it to anyone and I guess in particular those who like a brilliant contempory and just a overall fab read. Oh and Vikki so kindly sent me a signed copy of her first book, "All I Ever Wanted" which I can't wait to start. I've also come up with a new rating system which I should probably talk about but because I'm feeling like this (GIFS Below), I will just post the link here, Check it out. So yeah on the inside i'm energetic and spazzing while on the outside I'm lazy and tired. Yeah it doesn't really make sense, I'm blaming it on the amount of sugar I had today. Don't listen to my nonsense just go and read Friday Brown ok? GAH I NEED TO READ THIS! 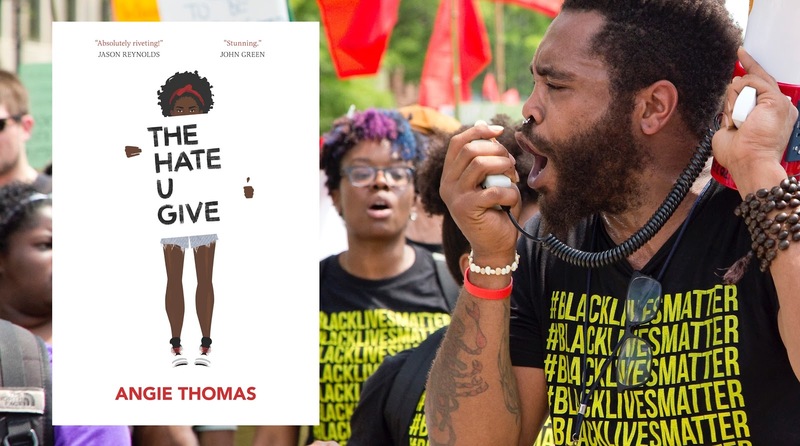 I've read three reviews on this book but I'm desperate to see what all the 5 star ratings are about. Love the GIFS :D Great review! Hahaha the GIFs are awesome! So glad you liked this one, it sounds like my cup of tea :D Australian authors seem to be better than any other country, is there something in the water over there? ;) thanks for the awesome review, Sunny! GAHHHH YES YOU ARE RIGHT THIS BOOK IS INCREDIBLE! It was definitely a hell of a ride, and Vikki Wakefield has definitely done you Aussies proud! :)) Love the new rating system by the way! (Oh and I finished Eleanor & Park)! 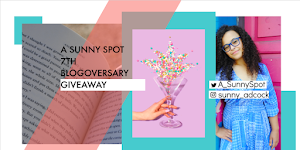 Any other book bloggers are welcome to participate. Sunny, thank you so much for introducing me to this book! This is the first I'm hearing of it, but wow...it sounds fantastic, and I'm glad to see those GIFs at the end because, well, they capture a mood ;) But seriously...wonderful review, doll! 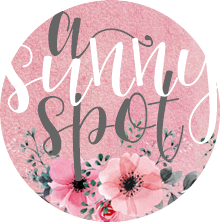 I'm your newest follower via both GFC and Bloglovin'!